This is a back entry slide pictured with obstacle course attachment (available for extra fee). 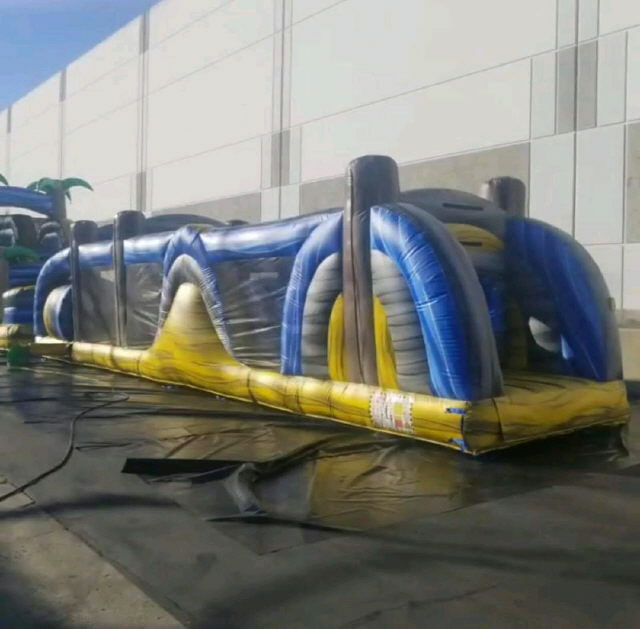 Slide alone is 30' long with obstacle course is 68' long. Can be used indoor or outdoor, wet or dry. For use as a water slide, a splash pool is attatched to the front. * Please call us for any questions on our jump obstacle course rentals in Caldwell ID, Nampa Idaho, Meridian, Boise, Mountain Home, Ontario OR and surrounding communities.